Buying A Coffee Tamper - Which Is Best? 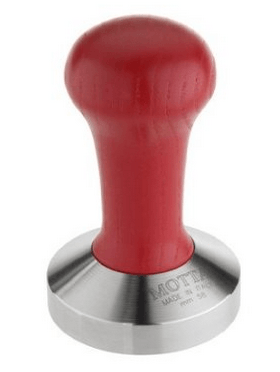 Buying A Coffee Tamper – Which Is Best? 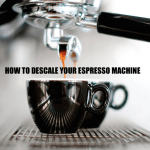 Buying a tamper for your coffee or, most probably, your espresso machine shouldn’t feel like some sort of crazy algebra and yet it seems to be shrouded in mystery. You may feel like you have joined a cult or are about to pass some kind of initiation ceremony. But it doesn’t have to be like this. When you bought your espresso machine, it probably came with a tamper included, but to be blunt, its probably not the best quality, right? More than likely it’s flimsy and plastic and does the job very poorly. Although, if you’ve never treated yourself to a better quality tamper, you may not even notice the difference. Here is a video showing how one barista does their tamping. Note the tamper he uses. Definitely not a wee little plastic job. A decent tamper is meant to not just to compress the coffee, but to do it exactly evenly to ensure a smooth consistency in the coffee. That’s right, a coffee tamper should actually be chosen to fit you, its operator – not just the machine. In short, the ideal coffee tamper should feel like an extension of your own hand. This may be one of those things that you actually want to try before you buy. If possible, actually get to a real life store (old fashioned but still necessary even in this day and age) or at least be prepared for to possibly send some items back, should they not be quite right. Here is a rundown of four of the best espresso tampers currently available for sale on Amazon.com, for great deals. Aah. Start every morning by pressing down on this lovely shiny blue knob. You know you want to! The SySrion certainly looks smart and will be a cute addition to any kitchen unit (especially any that are blue). 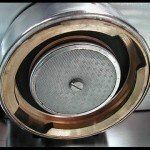 It has concentric rings that press into the coffee, this doesn’t really do anything but it looks nice. 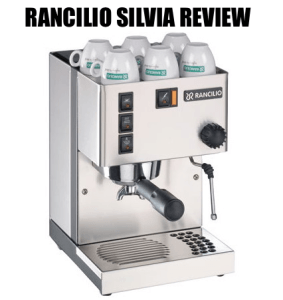 It is a great companion to go with espresso machines like Rancilio Silvia and Gaggia Classic machines to name but two. Baristas have also used this model in a professional setting, despite it not being marketed as being used as such. It has a decent weight to it, is solidly constructed and the handle detaches if you should wish to do so, for cleaning purposes. If you haven’t got a ridiculous amount of money to spend on buying a tamper, this one is looking good for the money! Looking a lot more impressive than the photos might suggest, this is a highly stylish item with a very pretty wood handle. 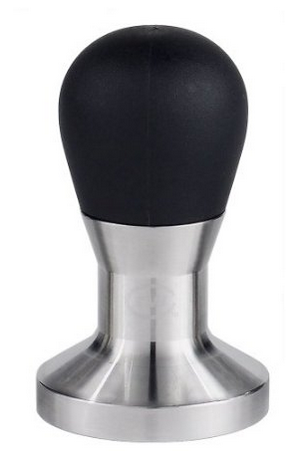 The reviews online are excellent for this particular tamper – espresso fans just love this model! A genuine Italian made item, this has the status of ‘professional’ bestowed upon it and we can certainly see why. With a good weight, this handles beautifully and makes great shots of espresso nice and easy. 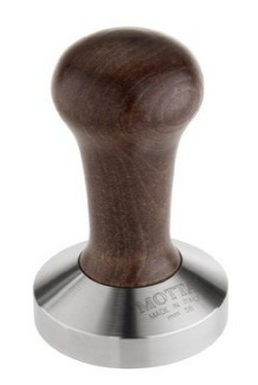 Unlike some of the other tampers in this review, this has a convex, not flat shape and comes with its own carry box. We think this feels and looks the part, as well as slips into the palm of the hand comfortably. 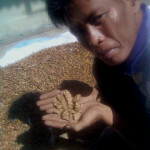 Discover the secret of great crema extraction and pack your puck painlessly with one of these Mottas.. If you have the budget available, it might be the best choice on offer in the marketplace when buying a tamper. Actually the most expensive on our shopping list, the Rattleware 58-Milimeter Round-Handled Tamper will not disappoint in your quest for perfect pucking and first class, fully creamy crema. The bottom of this tamper is a flat one, not convex like some (this detail is the kind of thing worth checking and experimenting with). Nicknamed the “cannonball” by some users, this is nice and heavy and packs a decent punch into your porta-filter. It will fit the Rancilio Silvia 58mm machine. If you’re looking into buying a tamper for 2016 and are deadly serious about coffee, this would definitely be one of the brands to get a hold of. 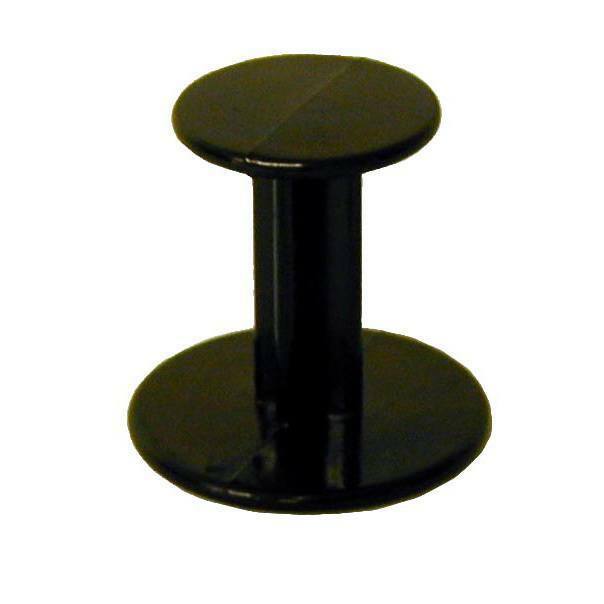 Lastly, we come to the Essential Values 51mm Tamper. This is slightly smaller than the other tampers in this review (so check your dimensions carefully). If you haven’t got a lot to spend on this whole buying a tamper doodah you may have been about to give up and just continue to use the rubbish plastic contraption your machine inevitably came with. Don’t despair! Salvation is at hand and it comes for a mere $12-ish. The listing may not show this, but this tamper actually comes in two parts which screw together. 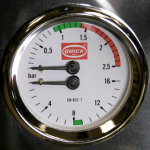 It also may not be completely 100% Stainless Steel as listed, since there is another metal present within the interior of the tamper. The exterior is definitely Stainless Steel though. This is probably just an error in the description on the part of the seller. The basic fact is that this tamper works perfectly well, it handles nicely and has a good weight to it. This has just been a brief overview into the strange and murky world that is buying a tamper. Hopefully we’ve shone a light on the process a little bit. See below for more great articles, including one that focuses specifically on tamping technique. Looking for the best espresso tamper in 2016? 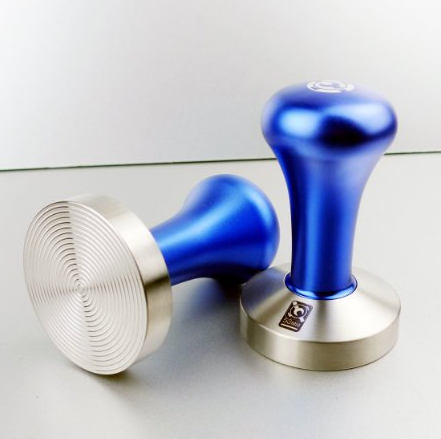 This article looks at how to select the right tamper, and takes a look at some truly incredible tampers with great value as well.